From pool parties to local events, summer brings out large crowds outdoors which in turn give you the opportunity to show appreciation and grow your reach. 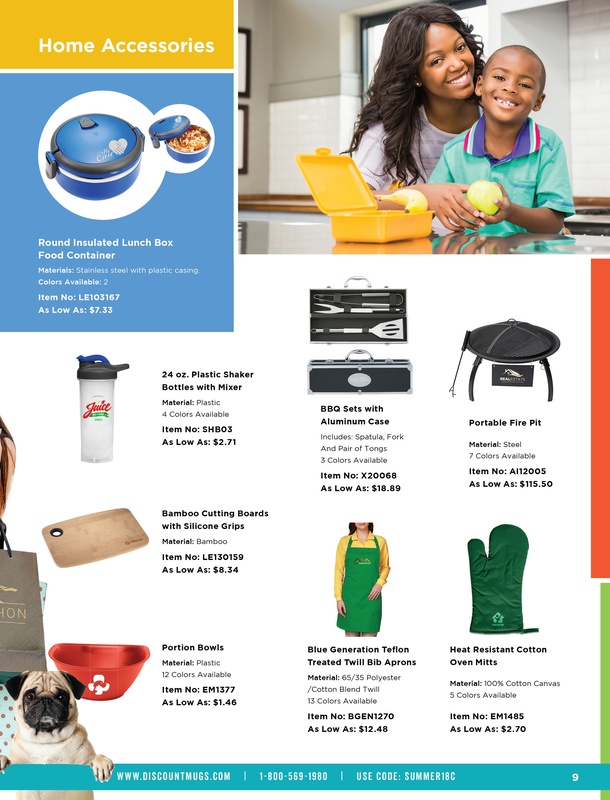 Grow your brand with summer themed giveaways and start spreading the love this season. 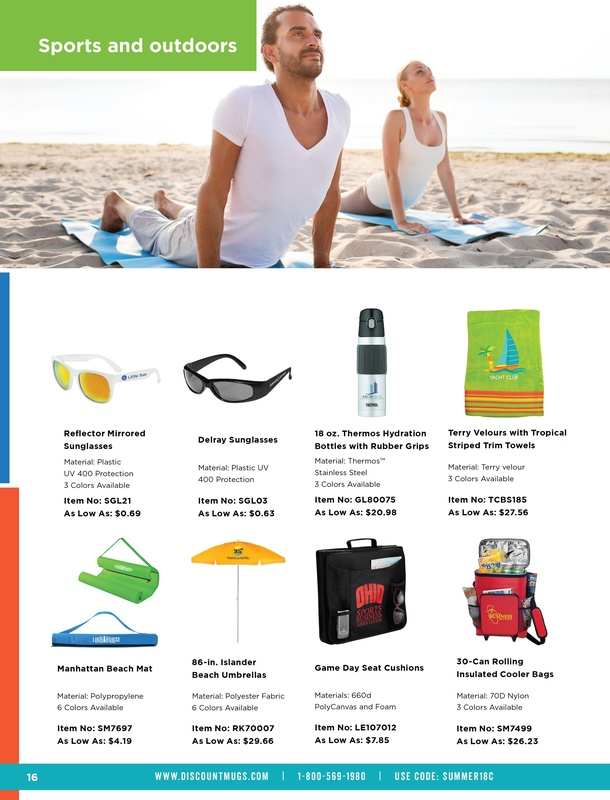 Here’s what you can expect to find in our Summer Catalog. Celebrate the beginning of camp with welcoming gifts, and plan ahead to the closing ceremony. 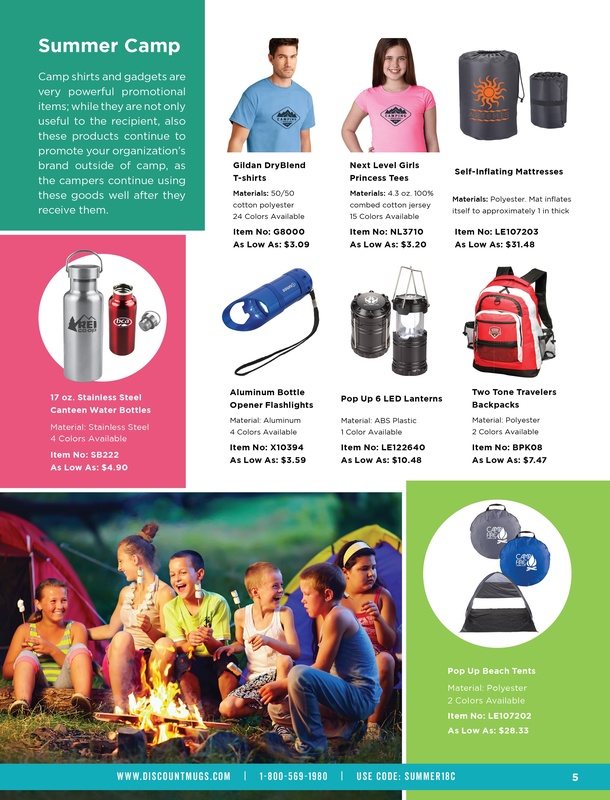 Browse personalized apparel items like t-shirts, backpacks, water bottles koozies and much more. Did I mention the beach? We technically can’t get enough salt water in the summer. 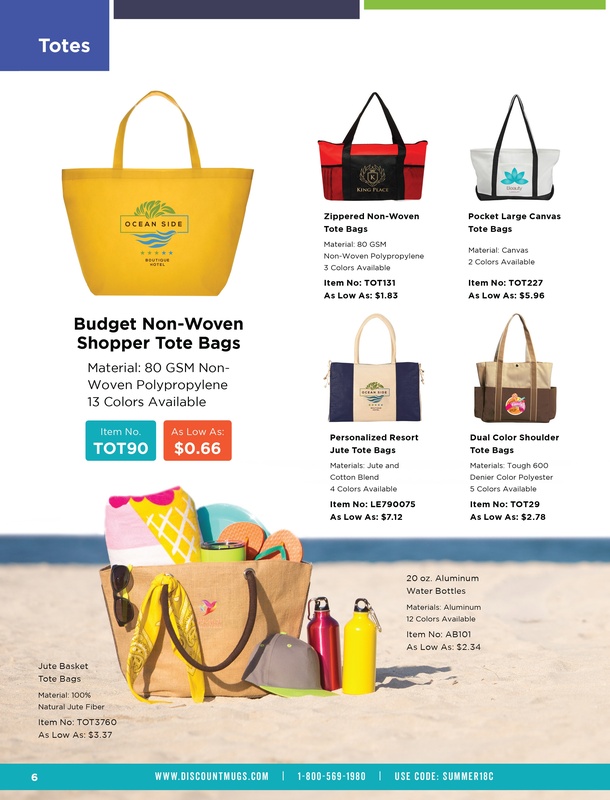 Enjoy an outing with employees and gift them personalized tote bags for great memories of your time together. Kitchen and home accessories printed with your design will help promote your business and plan strong seed of loyalty. Take advantage of our Guaranteed Low Prices and order in time for your giveaways! Although coffee isn’t the first thing you think of when you think of summer, cold recipes will definitely be attracting a larger crowd this season. 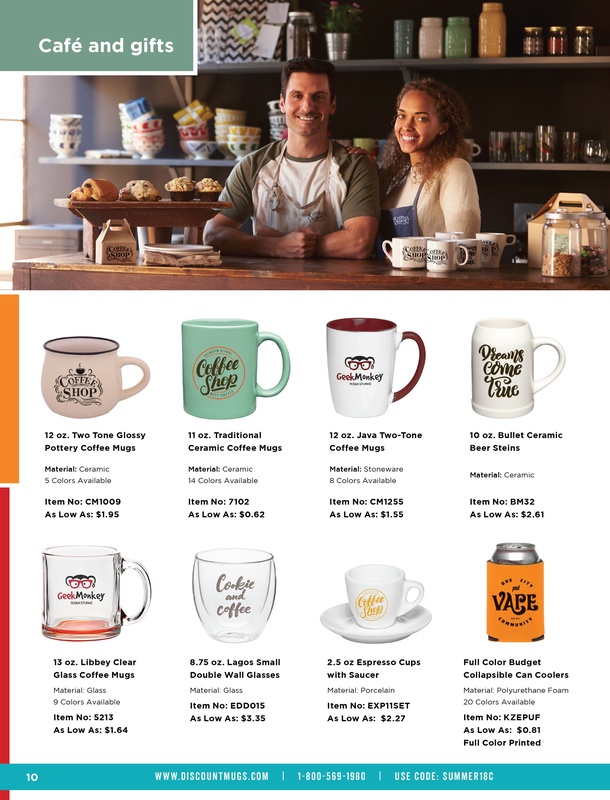 Shop custom mugs printed with your store logo for cool merchandise that will get the attention of your regulars. Personalized gifts make a statement, help tell your story, and will remind your loved ones and friends of your special day. 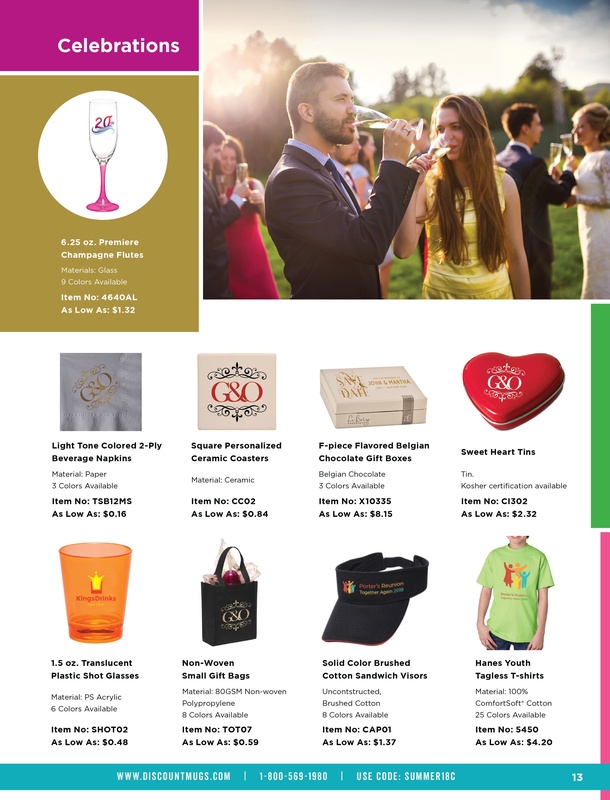 Shop our unique selection of glassware and gifts to impress your guests. We would never forget our sports minded customers, wink, wink. With optimum conditions outside, many will be taking their practice to the great outdoors. Find yoga mats, sunglasses, towels and coolers bag you can order printed with your logo to help promote your gym or studio. We’ll also move it indoors for those that never stop, not even in the summer. Everyone is having fun out, but you can bring the sun inside. 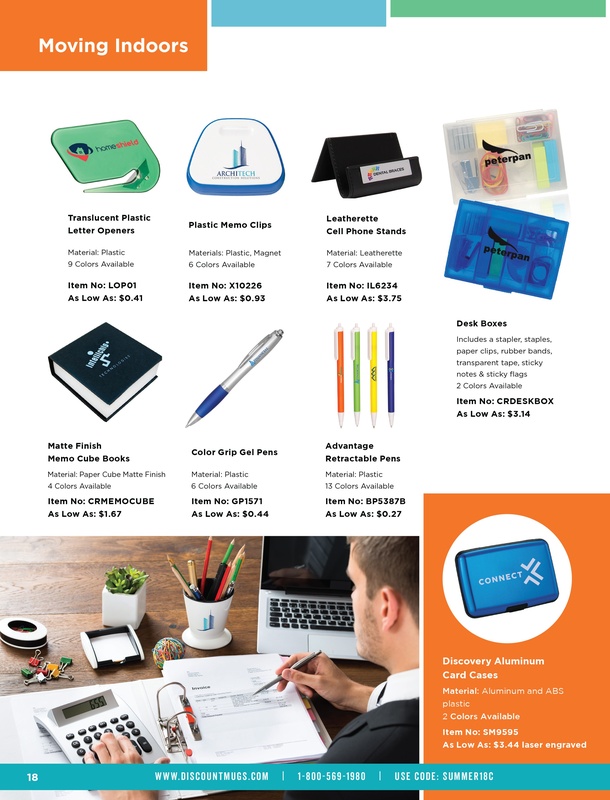 Freshen up with brand new promotional office tools like pens, calculators, sticky note pads, and memo clips personalized with your business logo. Watch the mood change when you show your employees a little appreciation for all of their hard work. Don’t forget our huge savings too! We appreciate you continue choosing DiscountMugs to fulfill your promotional product needs and included a little something to help you save even more. 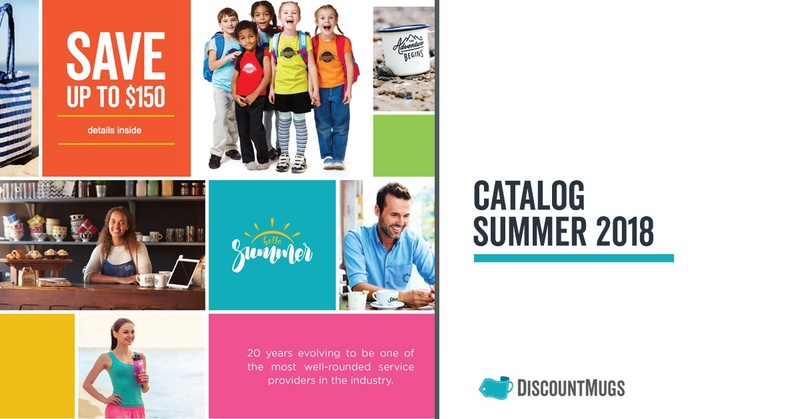 Take a look inside to find out how much you can take off your decorated order and download our Summer Catalog to keep close at hand for when you want to share with your friends.